Last week the label got an airplane, now this. While for some a 30th birthday is an opportunity for existential hand wringing and general dread, Sub Pop Records is racking up a string of oddball accomplishments leading up to its giant SPF30 festival tomorrow. 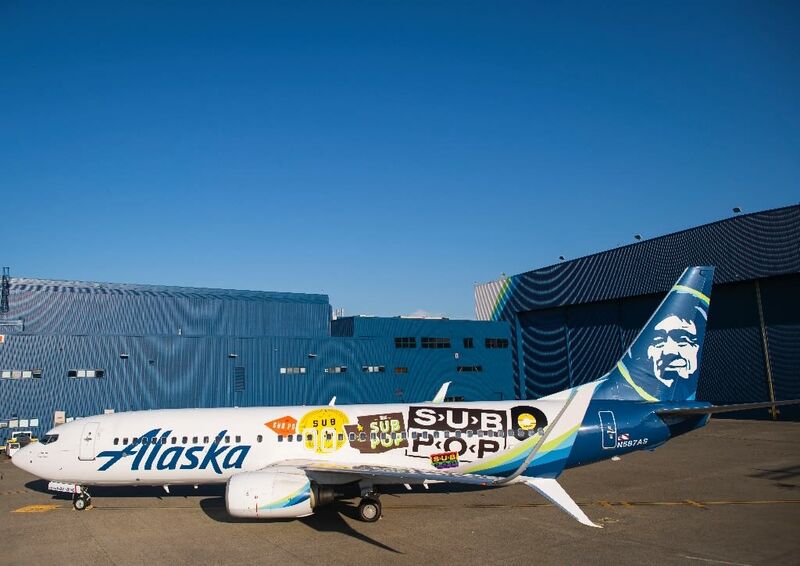 Last week the label announced it'd partnered with Alaskan Airlines to get a Sub Pop branded airplane. 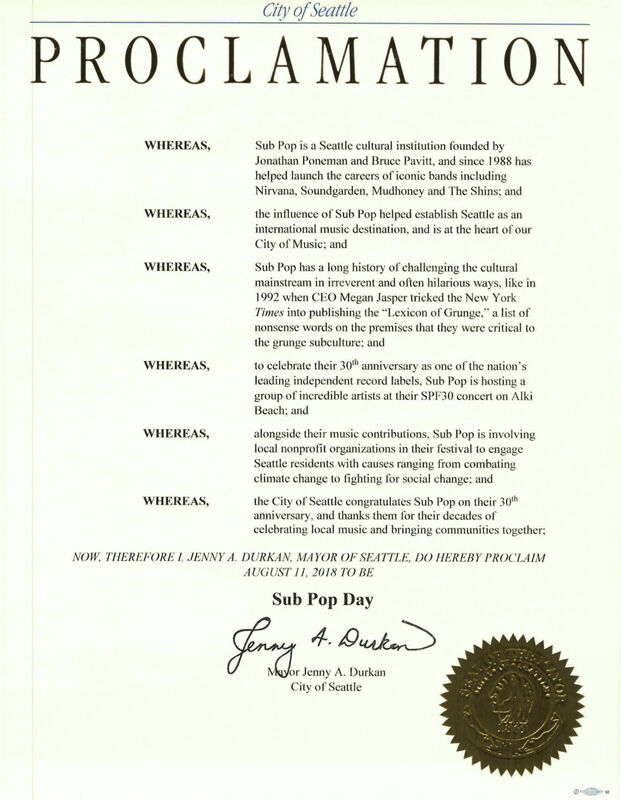 Today, mayor Jenny Durkan officially proclaimed August 11, 2018 to be Sub Pop Day. According to its (presumably hyperbolic) press release Sub Pop has been "campaigning the Mayor's office tirelessly for the past 30 years for a Sub Pop Day to take place any or every day, with little to no perceptible results." It later adds, "So far as we're able to discern, this is not a prank." Durkan's proclamation is in full below; it cites the major bands the label has helped launch, its influence in making the city an internationally recognized music hub, and the Sub Pop's irreverent sense of humor, including the "Lexicon of Grunge" now-CEO Megan Jasper came up with. Congrats, Sub Pop!